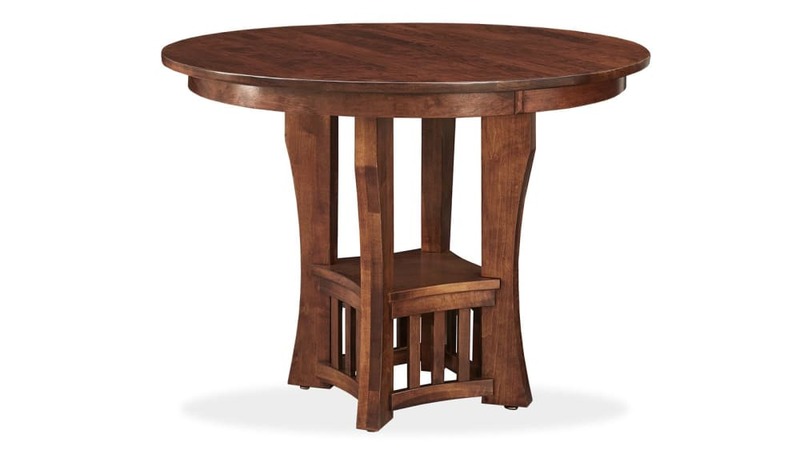 Complement the décor of any room with the Plano 48" Round Counter Table. Invite your closest friends and family for an intimate dining experience. They’ll be in awe of the quality craftsmanship of this piece. With sophisticated cherry wood and its catalyzed finish, this table adds a truly unique effect. Featuring a convenient built-in storage compartment, the piece makes the perfect addition to your furniture collection. The table stands on sturdy, pedestal legs, and the clean, established design will fit seamlessly into both kitchens and dining rooms. 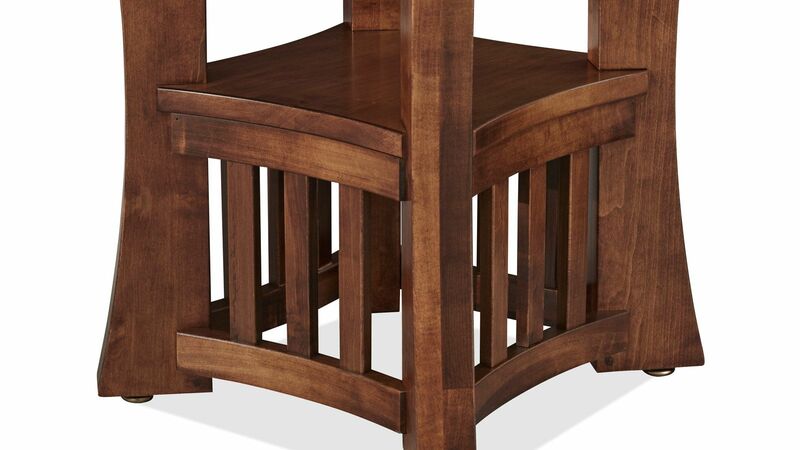 This classic table was made in America by skillful craftsman. 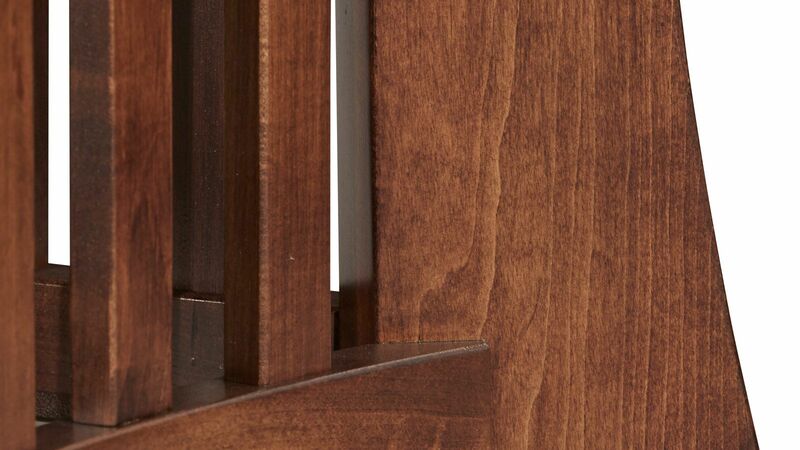 Solid cherry wood looks beautiful in any home. Built-in storage gives added functionality to your space. A pedestal design adds an elegant touch. Amish furniture is crafted entirely from superior solid wood. Amish woodworkers focus on a more traditional style, which means they never rush a piece's construction. This table was built to last and will continue to brighten your home for years. Upgrade your space TODAY with Gallery Furniture's same-day delivery. You won't have to wait to call this remarkable table your own.